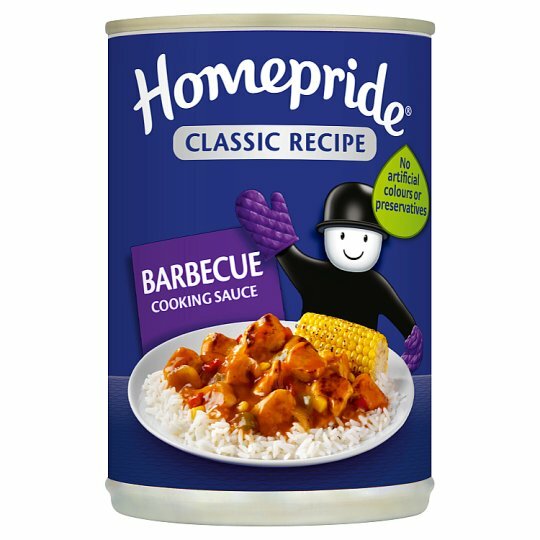 A Barbecue sauce with tomato, onion and sweetcorn. If you have any problems please keep the can and contact our Consumer Relations Department. Phone 0800 022 3395 Monday to Friday 9am to 5pm (UK only) (ROI 1850 202929) quoting codes printed on the can (calls may be recorded).